The human body is so adaptable that we can’t even start to think about its greatness. Not a single person realized that a 24 year old woman was missing the most important part of her brain, the cerebellum, until she was hospitalized in the Chinese PLA General Hospital of Jinan Military Area Command in Shandong Province. She complained on frequent dizziness and nausea. According to the woman, she had trouble walking steadily for most of her life and based on what her mother stated, she began walking at the age of seven and started speaking clearly at the age of six. When the doctors did a CAT scan, they immediately found the root cause of her problem – her brain was missing the cerebellum. Often known as the little brain, the cerebellum is situated below the two brain hemispheres. Although it represents 10% of the entire brain’s volume, it contains 50% its neurons. 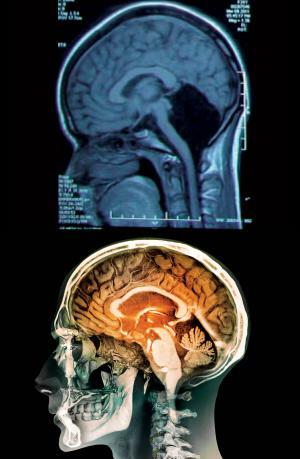 The woman, who has the entire cerebellum missing, has joined a selected group of just nine people who suffer from the same health condition. According to the doctors, this health disorder hardly affects individuals simply because they don’t survive long enough to face the consequences of a missing cerebellum. One of the doctors mentioned that only through an autopsy do they discover the entire cerebellum missing, but the woman’s case was different.